What else is important in this district except a police station and a fire station? Especially in summer, at temperatures over 25 ° C! Exactly an ice cream parlor and an ice cream truck no wrong not ice cream truck, but an ice cream hot rod !! 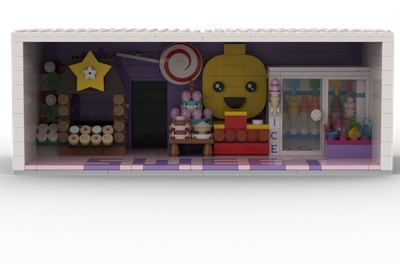 For a long time I searched the WWW for pictures of ice cream parlors from the 60s and 70s to design this ice cream parlor. 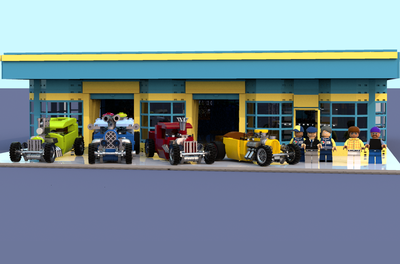 It was great fun to build the ice cream parlor and Ice Cream Hot Rod for the Lego City and Speed Champions. I also tried to build this building in a slightly older style, which I find architecturally beautiful. The ice cream parlor I have equipped with three ice machines and a large refrigerator for all the delicious ice cream places. 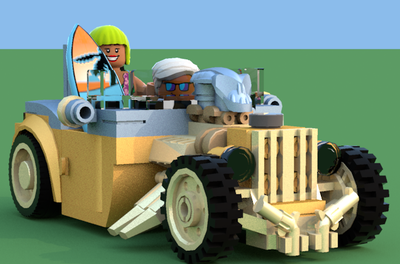 With the Ice Cream Hot Rod you can go to the nearby beaches or leisure places to sell there also the delicious and refreshing ice cream. 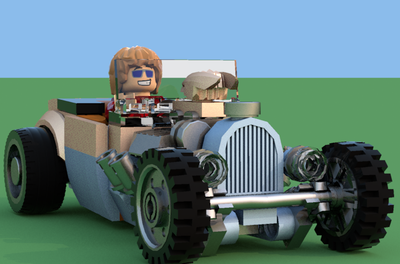 In this project, my effort was to design the building as well as the Hot Rod as realistic as possible.